This small car has done some pretty big things since it was introduced. It has become increasingly popular with the young, the old and everyone in between thanks to its combination of good looks, economical engines and reliability. 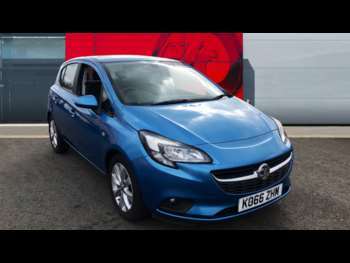 Vauxhall Corsas are a very practical supermini which also makes them popular with families. Their affordability also makes them a popular choice. If you’re looking to get from A to B in safety and style, you’ll love the range of used Vauxhall Corsas on offer at RAC Cars. When you buy a second-hand Vauxhall Corsa, you’ll be getting a reliable and practical car for an affordable price. Plus, Vauxhall’s commitment to improving build quality means you can rely on your used Vauxhall Corsa being long-lasting, which will give you peace of mind. With new models like the super-powerful and agile VXR, a used Corsa continues to appeal to the younger generations. The EcoFlex Corsa is the one to go for if you are looking to save money at the pumps. Whichever Corsa you decide to go for, you’ll be assured of a cheap, practical supermini with everything you’d expect. The top-of-the-range Vauxhall Corsa uses racing technology that really impresses in the bends and in straight lines. But every Vauxhall Corsa model gives you a pleasurable driving experience. Got a specific Vauxhall Corsa model in mind?